Here at Gettysburg Flag Works, we are proud to carry a variety of high quality military flags that represent all branches of the US Armed Forces. 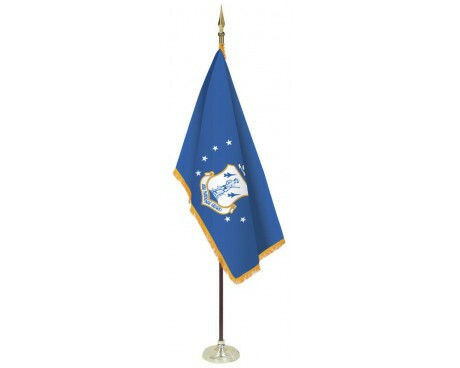 In addition to providing military flags that can be flown proudly outdoors, we also carry military flag sets for indoor and parade use. 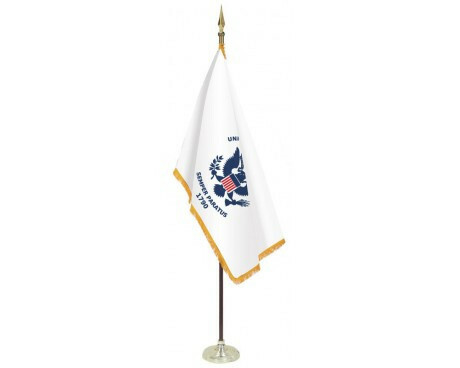 These are perfect for schools and educational institutions, government buildings, and any other locations that wish to respectfully display flags representing the branches of our military indoors. 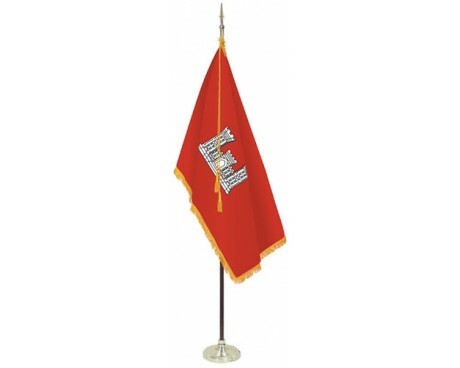 Our military flags sets come complete with everything you need to showcase your flag, including the flag stand base, a finial, an indoor flagpole and a gold cord with tassels. The flags included in our military flag sets are nylon screen dyed and feature gold fringe along the edges. 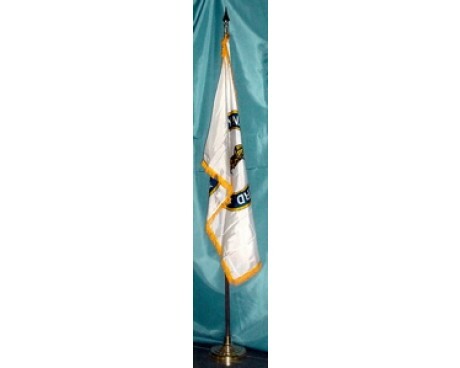 They are perfect for displaying indoors or for carrying in parades. Because they are intricately detailed and feature fringe, they are not ideal for flying or for outdoor use. Looking for military flags you can fly outdoors? Check out our selection of outdoor military flags here. 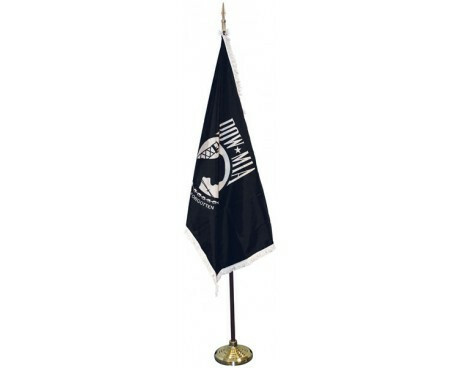 Our indoor military flag sets are made of the highest quality materials right here in the USA. 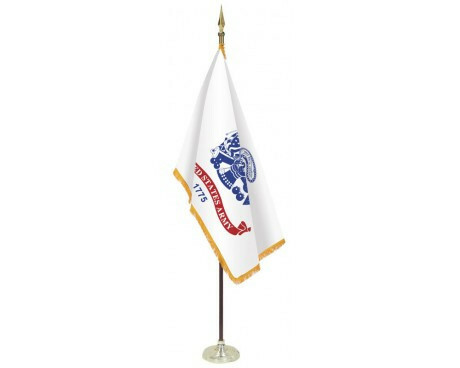 If you’re looking for a way to show your military pride in an upcoming parade or with an indoor flag display, look no further! In addition to indoor flag sets for all military branches, we also carry an American indoor flag set - the perfect accompaniment to any of our military flag sets. 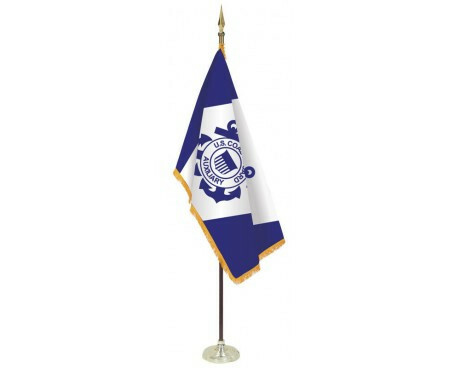 Browse our selection of armed forces flag sets and place your order today! Can’t find what you’re looking for? Give us a call at 1-888-697-3524 or contact us online and we’d be happy to help!